With the 110mm drum it turns with approx. 22rpm - feel free to adjust the speed using different gear wheels (see note below). You can go with a drum of your choice (i.e. old tins, etc.) but I found that PVC pipe couplings that are sold in hardware stores are perfect and cheap. This tumbler is designed to run with either diameter of coupling like 110mm, 125mm or 160mm (latter not tested yet). The 110mm drum is large enough for most of my parts and should be the starting point for your first try. 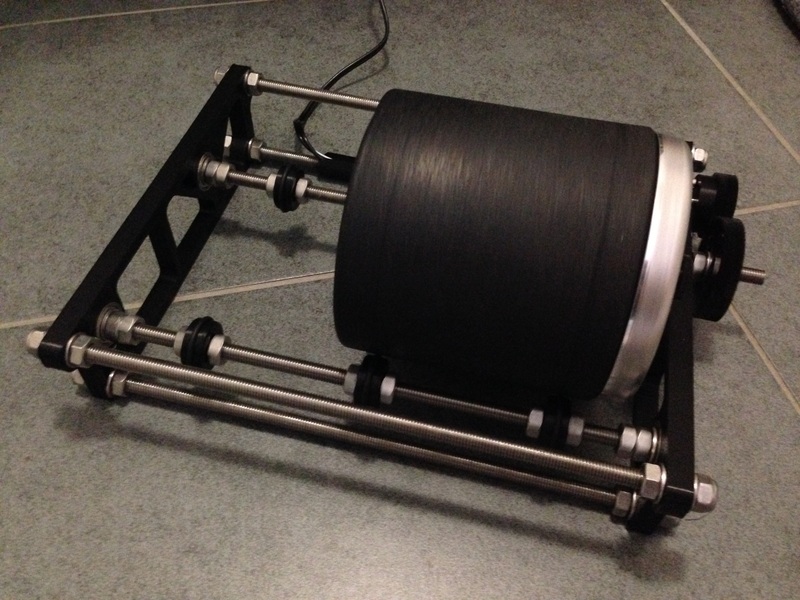 For those who like a rubberized drum it is a good idea to print the inset for the drum with flexible filament. Geared Motor: 12V, 1:50, 100 RPM, 20 Ncm regularly called RB30 or RB35, available at Conrad, ebay, etc. 29x 8mm Hex nuts, 1x 8mm locking nut & a couple of 8mm washers. 1x 3mm nut and 1x M3 x 20 screw (for the smaller gear wheel. 3x M3 x 16mm screws for the motor + 3 M3 washers. 1 Power source 12V, 1A (actually 500mA should be enough) + 1 power cord, long enough, to be soldered to the motor and connected with the power source. - PVC pipe coupling + 2 caps. I dont suppose you would be willing to provide the CAD file for the left side would you? I had to buy a different motor from the one you designed it for. I tried editing the stl file with meshmixer but it keeps giving me errors and working with .stl files with sketchup is a nightmare. Finished! 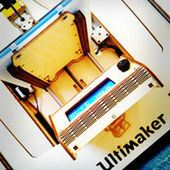 I made the tumbler slightly larger to fit objects with the maximum build volume of the Ultimaker in the future. For small objects I have bought a barrel from Lortone.